The exhibition and seminar presentation look at Vienna’s mobility & transport systems and discuss development strategies for a post-fossil organization up to the year 2050. They ask how the transition to post-carbon urban mobility might foster sustainability, resilience, and security while improving quality of life. They suggest that a shift beyond fossil fuels is necessary and vital for maintaining resilient urban environments and present models of living and mobility that require no fossil-fuel energy input. 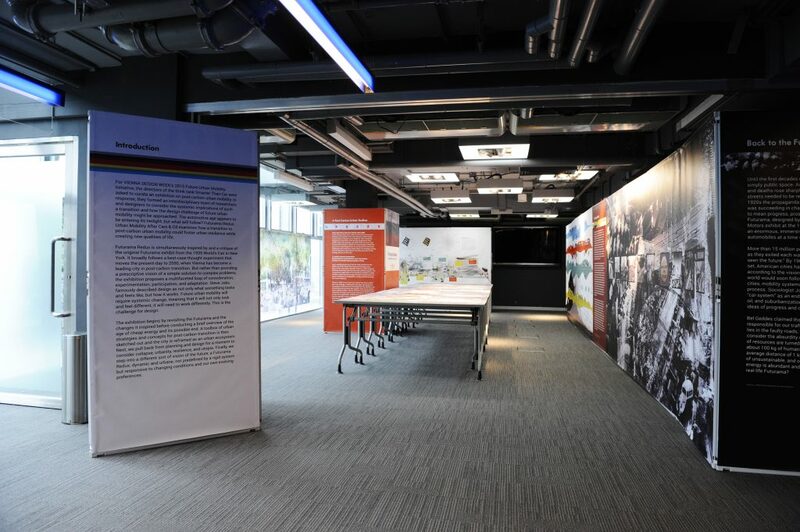 The exhibition by Smarter Than Car was developed for the Vienna Design Week 2015 and has since been shown also at the Urban Future Global Conference in Graz, at the United Nations Habitat III Regional Meeting for Europe and North America and the Future Urban Mobility Day of Stadtwerke Wien. 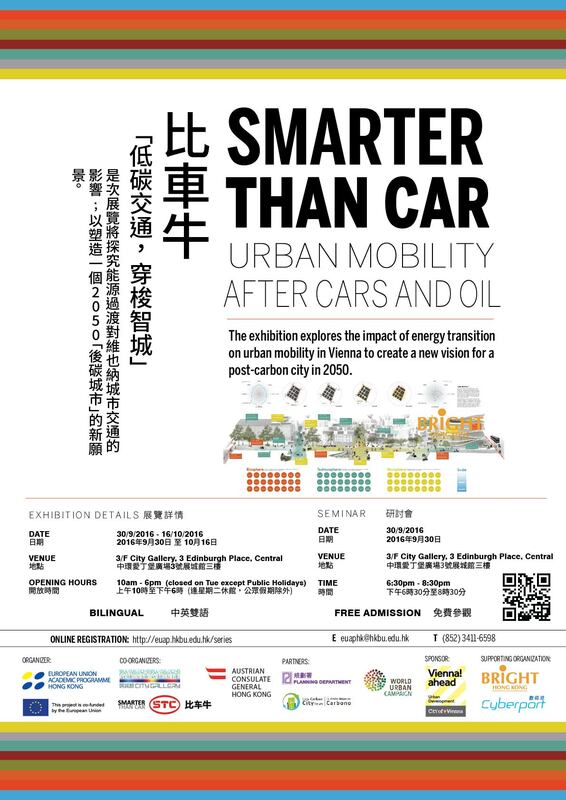 Smarter Than Car is a Think Tank for future urban mobility and post carbon urbanism. It conducts research, advocacy, education and events across various scales. It sees mobility as key factor for prosperous urban development in light of climate change and resource depletion. It investigates, develops, tests and communicates new approaches for the layout and use of urban spaces and the organization of mobility. Smarter Than Car was founded in 2010 in Beijing, China. Since 2012, it has also been operating in Vienna, Austria. It is an Associate Partner of the United Nations World Urban Campaign, partner in the Sustainable and Low-carbon Transport (SLoCaT) Partnership and Content Partner of the Low Carbon City Forum, the first global forum directed by citizens committed to building low carbon cities by reducing emissions in different sectors without compromising economic and social development.